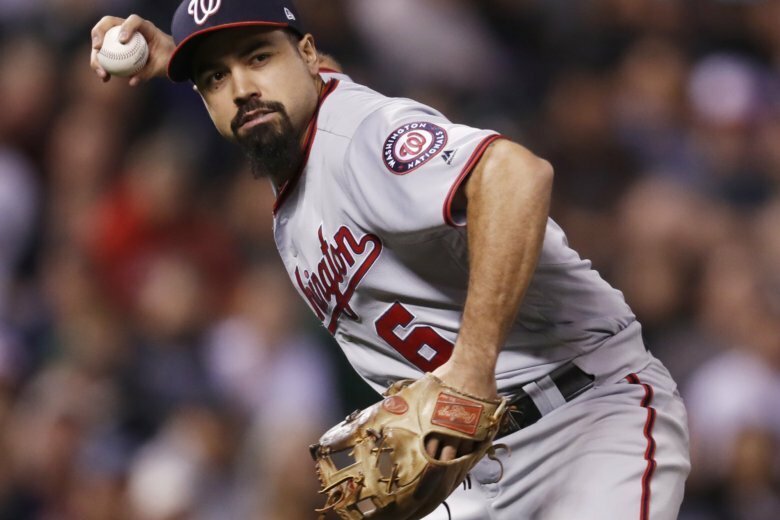 Anthony Rendon and the Nationals host the San Francisco Giants for a three-game series. Here are three things to watch for. Howie Kendrick is finally healthy and is raking in the runs for the Nationals. Since his return from injury on April 6, he is batting .533 with two home runs and five RBIs. He’s started the past two games at second base over Brian Dozier. Aside from Kendrick, Anthony Rendon is the entire Nationals offense. There’s only one player in the majors that has created more runs than the Nationals third baseman. He’s also on a career-high 13-game hitting streak. The bullpen is awful, everyone knows that. But, Kyle Barraclough is putting up nice numbers as a middle reliever. With eight appearances, he’s only relented seven hits and allowed one run. The remainder of the bullpen just has to get the ball in his and Sean Doolittle’s hands. The game broadcast will be at 7:05 PM ET on 106.7 the Fan and MASN.